Our annual celebration of the lesser known acts that make the early hours of the each Coachella festival so memorable. While always among the most eclectic of the our yearly mixes, this year’s edition, just like the 2013 festival itself, has a stronger than usual hard-rock lean. 1. 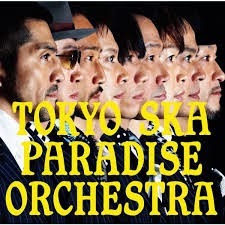 Let Me Come The River Flow - Tokyo Ska Paradise Orchestra: An institution in Japan for over thirty years, this white-suited, vibrant, ten-man ska orchestra was a perfect choice to open the main stage on day one. For many who attended Coachella 2013, this was the first thing they heard. 2. 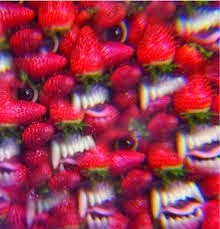 I Come From The Mountain - Thee Oh Sees: Few bands presently touring bring as much manic, rubber-necking (see them, and you’ll know what I mean) energy as San Francisco psych-rock’s finest. Their early Sunday set was one my all-time Coachella favs, represented here by the best track from their 2013 release Floating Coffin (Solid Recommend). 3. 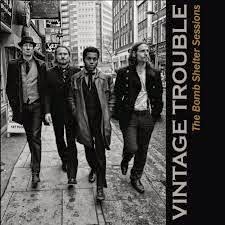 Nobody Told Me - Vintage Trouble: We originally profiled L.A.-based Vintage Trouble and their 2012 album The Bomb Shelter Sessions (Mild Recommend) last year on Nancy’s Favorites with the single Blues Hand Me Down, but they were so good at Coachella (only Nick Cave and The Stone Roses were better), I had to throw in another song this year to celebrate that performance. Combining a front man with a voice and moves worthy of James Brown with a backing band whose guitar-slinging prowess approaches Led Zeppelin levels, they are the very definition of a high-energy act. If their songwriting skills ever rise to match their performance chops - watch out! 4. Prisoner's Song - Dropkick Murphy's: If you’re a movie fan, this song might sound familiar, as it was used to score the title sequence to Martin Scorcese’s The Departed. But the song wasn’t given a proper album release until 2013 on the Boston-based act’s Signed and Sealed in Blood (Solid Recommend). 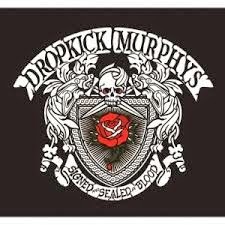 Combining traditional Celtic folk and punk in a manner similar to The Pogues or Flogging Molly, but taking things a touch more hard-core, Dropkick Murphys’ feisty main stage set was made all the more poignant by coming just days after the Boston Marathon bombing. 5. Dark Star - Polica: Hailing from Minnesota, this band…an outcropping from the Gayngs collaboration a few years back…blends jazz accents, R&B, and a heavy use of auto-tuned vocals to create a fresh sounding brand of synth-pop. 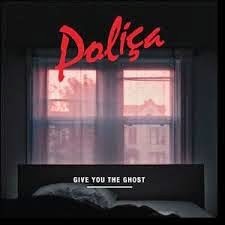 Aside for this song here and Violent Games, I wasn’t blown away by their 2012 debut Give Up The Ghost (Mild Recommend), but word is their more recent release Shulamith is stronger. Either way, they sounded great when I saw them in the desert. 6. 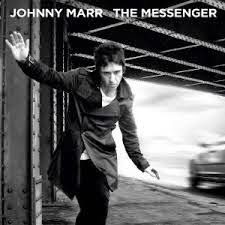 The Right Thing Right - Johnny Marr: There’s a reason Morrissey did most of the singing for Smiths, Johnny’s voice will never be more than merely adequate, but what Marr lacks in vocal prowess he more than makes up for with a masterful command of rock ‘n’ roll’s guitar vocabulary. This song was my favorite from his hard-charging Friday afternoon set. 7. 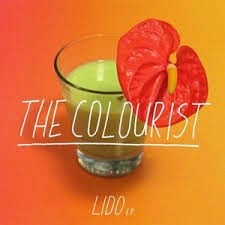 Fix This - The Colourist: Ah, the trials and tribulations of a young band trying to make its name. Having pulled an all-nighter driving down from a San Francisco gig the previous evening, these twee poppers still managed to summon enough bleary-eyed energy to make their noon Saturday set one of the day’s most delightful. They have only a few singles and EPs to their name at present, but I hope to hear more from them soon. 8. 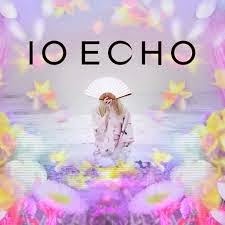 Outsiders - IO Echo: One of my favorite songs on this mix, it perfectly captures the light Asian accents and industrial touches that differentiates this young L.A. band’s very pretty brand of synth-pop. 9. 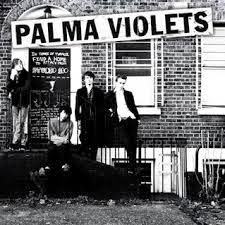 Best Of Friends - Palma Violets: Palma Violets 2013 debut 180 (Mild Recommend) is one of the weakest albums profiled in this year’s collection, but see them live, and you get why they are such a buzz band in the U.K. Bringing a highly engaging, spontaneous hippie vibe to their otherwise very Strokes/Franz Ferdinand-like songs, even their weakest recorded material springs to life on stage, and when they pulled out one of their few really good songs like Best Of Friends, their show was a joy to behold. 10. My Love Took Me Down To The River - Little Green Cars: My favorite discovery of Coachella 2013, this young Dublin act is one of those recent mega-fest early afternoon regulars like Fanfarlo, Gardens and Villa, Guards, Wolf Gang, White Arrows, etc., etc., whose indie sound feels like a amalgam of dozens of past and present influences. 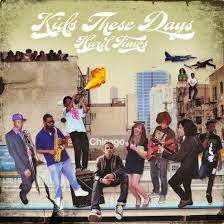 But in this case, they bottle all those influences…the arena-folk of Mumford and Sons, the twee flavors of Soft Bulletin-era Flaming Lips, Volcano Choir auto-tuned soft-rock, Arcade Fire uplift, and especially the So-Cal harmonies of peak-era Fleetwood Mac…into a very appealing confection. 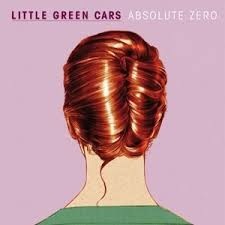 This track from their debut Absolute Zero (Solid Recommend) showcases the group’s fine, folksy, five-part vocals. 11. 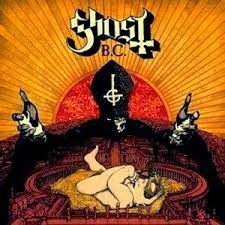 Year Zero - Ghost B.C. : Decked out in skull paint and black papal robes and hoisting inverted cross scepters, it was hard to tell if Sweden’s Ghost B.C. take their bubblegum Satanism seriously, or if it is all just theatrics. Either way, when lead singer Papa Emeritus and the Faceless Ghouls came onto the main stage early Sunday back by a thundering, pre-recorded Latin chorus, then launched into their hooky brand of Beelzebub-championing Euro-metal, it proved to be the start of a surprisingly entertaining set, with Year Zero, from their 2013 release Infestissumam, being my favorite moment. 12. 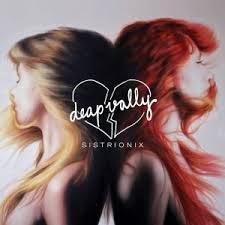 Baby I Call Hell - Deap Vally: A duo of L.A. lasses putting an all-female spin on the contemporary blues-pop movement dominated by the likes of The White Stripes, and The Black Keys, these young ladies whipped up quite a racket in their Mojave Tent opening Sunday set. 13. Summerscent - Kids These Days: It’s too bad this young, Chicago-based rap outfit has already broken up, because I genuinely enjoyed their Saturday morning set, and thought…in they way they were fusing rap with that classic, ultra-positive Sly & The Family Stone multi-racial, multi-gender dynamic…that they were onto something fresh. 14. 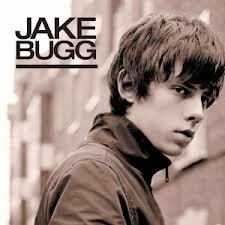 Two Fingers - Jake Bugg: Brit Jake Bugg might not even be twenty yet, but he’s got the sounds and moves of the early Beatles and 60s folk-rockers like Bob Dylan and Donovan down pat. For me, his self-titled debut (Mild Recommend) is too reverential, lacking any real sense of personal identity to differentiate his work from that of his idols…other than lesser quality…but I have to admit his catchiest songs, most notably Lightning Bolt and this track here, were loads of fun when I caught him Friday in the Mojave. 15. 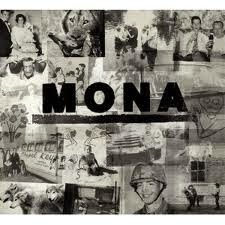 Listen To Your Love - Mona: Blending arena-sized, Kings Of Leon chops with a heavy dose of earnest U2 uplift, Dayton, Ohio’s spiritually driven Mona comes off as the epitome of bombastic, mainstream, good-guy rock. As such, they can be quite cheesy, but if you let your rock-snob guard down, a number of their tracks are also plenty of fun. Case in point: Listen To Your Love from their self-titled debut. 16. 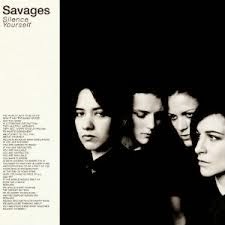 Husbands - Savages: Due to schedule conflicts, I only caught the last 10 minutes of Savages’ set…but oh, what righteous, fist-clenching fury. For more on the band and their excellent debut Silence Yourself (Solid Recommend), see the write-up for Volume 5 - Creepy Classless Angry Pissed. 17. 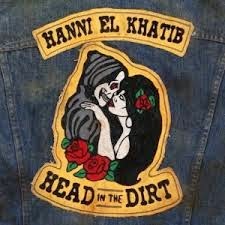 Penny - Hanni El Khatib: Yet another artist brought to the fore through collaboration with The Black Keys Dan Auerbach, Khatib delivered a rousing, multi-faceted blues-rock/garage-pop set that seemed ready to splinter at the seams. This track is my favorite of the poppier efforts from his Auerbach-produced sophomore effort Head In The Dirt (Mild Recommend). 18. I Know It's You - Guards: One of the most entertaining indie-rock acts on the daytime lineup, these New Yorkers put on a nifty early afternoon set, which peaked with this joyous Los Campesinos-styled cut from their uneven but strong-in-its-best-moments debut In Guards We Trust (Mild Recommend, but be sure to also check out Nightmare, Ready To Go, and Can’t Explain). One of my fav pops songs of 2013. 19. 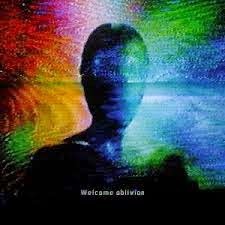 The Loop Closes - How To Destroy Angels: Dismissed by many as a vanity project allowing Nine Inch Nails’ Trent Reznor to perform with en feugo wife Mariqueen Maandig, I actually enjoyed several tracks on debut Welcome Oblivion (Mild Recommend). Yes, Maandig’s vocals are less than spectacular, and the songs are more chill than most Nine Inch Nails efforts, but come on, it’s still Trent Reznor writing and producing the music, and their set design, burying the band behind layers of low-wattage, ceiling hung light cables, was fantastic. A fine way to close 2013’s opening night after Blur wrapped its headlining set early.